Technology is created for our benefit and we surely do use it to make a world better in its turn. The same refers to various mobile applications that employees bring to their working places. There appears to be a risk to the office security system as well as many other problems that are bound to arise. One of the things that many organizations have started to practice – BYOD (Bring Your Own Device) systems or adding stealth monitoring software to make sure that everything is all right. However, not everything is very smooth about such practice. Recent report created by Gartner that was carried in 2015 proved that the majority of such mobile tracking apps have no adequate security protocols that would make their use safe and secure especially for the use inside of an organization and especially a large enterprise. BYOD policy does not guarantee security and if your organization complies with this policy, it is high time to improve security testing of all mobile apps. The thing is that organizations are sometimes are either ignorant or unaware of the threat that might come with the mobile apps; however, there are a lot of things that an organization is better to be protected from. It is essential that companies should update their SAST and DAST (static application security testing, dynamic application security testing). Why is it essential? The thing is that it is necessary that a company’s tests should be compliant with all mobile devices. Surely, the task is not really easy as apps multiply by day. All employers should have access to the background monitoring process options in order to be able to prevent any unwelcome activities. All the server and devices should be tested and protected, especially the ones that are connected with mobile devices on a regular basis. Only the apps that have passed the security testing should be admitted and allowed for download. Wrapping as well as SDKs for application containment usage are advised for companies for better data protection. More than 90 percent of the businesses today rely on third-party apps for their BYOD policies. This is why, according to Gartner, the year 2017 will start seeing a shift of enterprise security towards mobile app security. Endpoint breaches will have more focus on smartphones and 75% security threats will be because of mobile apps. At the present moment there are more than 90% of companies that rely on BYOD policies. However, the shift to mobile security is coming and fast. It makes sense to pay better and closer attention to mobile apps as they are likely to pose a stronger threat with time. They become better and with this more complicated as well as with regards to enterprise security. It is high time to pay closer attention to applications that will protect a company’s data. This entry was posted in Mobile Tracking, Surveillance on November 13, 2015 (Last modified: 2018-06-28T11:26:18+00:00 by N Z. Good news to all mSpy customers – the company has recently got an award and it is the PTPA Winner’s Seal of Approval. As a matter of fact, PTPA Media represents a digital agency with the aim of Parental Advocacy, Community Building and Digital Communications. 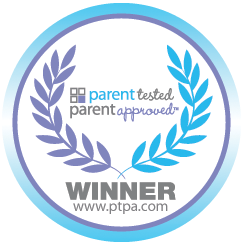 They are the part of Parent Tested Parent Approved™ and they have got one of the largest volunteering stuff in Northern America (about 70,000), and mSpy was rated by more than 22,000 parents across North America worth of the Most Trusted Seal; which speaks for its own. The seal is a very important sign of the product quality and reliability. All the tests are conducted by volunteering parents at their own will and at their homes and free time; the feedbacks are numerous and unbiased, and they are also compared and the entire decision is made about this or that product. PTPA Winner’s Seal in this respect proves the excellence of mSpy services and high quality of the product. This is a real honor and achievement for mSpy company to get such high evaluation from parents and families. This is also a motive to upgrade and develop the product further in order to make it better and more useful for parents and kids alike. Here is more information about the certification as well as mSpy feedbacks: http://ptpa.com/product/mspy/. This entry was posted in Mobile Tracking, News on March 18, 2015 (Last modified: 2018-03-30T12:19:28+00:00 by N Z. Right at the present moment cell phone spying software is a hot topic in the media. The owners of the software install spy apps to the targets phones and are then able to get a clear picture of all interactions, contacts and relocations. At the present moment there is a number of mobile tracking companies that offer such products and some of them got a lot of negative publicity of late. One of them is StealthGenie – a software company owned by a Danish citizen. The latter was fined $500,000 in the United States on the basis of illegal dealings. He actually admitted selling and advertising the product and by doing so was found guilty of such software abuse. This incident with StealthGenie can’t explain the fact that there are other spy companies around and they are still well and running. The question here is for how long they will go on? As a matter of fact, such spy software provides a very broad surveillance potential and it runs in a stealth mode as well; it is actually the tool that should be used by governments only in cases of defense when it is really necessary but not in cases of domestic spying when personal privacy is invaded. This is the point of view that seems to gain more and more support of late. Women’s Aid had a survey that showed the rate of spy software use to be quite high; the major user groups were parents. Taking into consideration the fact that these applications have become broadly available only fairly recently, it is also understandable that there haven’t been any one clear opinion whether they are legal or not on a major scale. But it is definitely getting clearer now; if you recall StealthGenie recent FBI operation. In accordance with the Assistant Attorney General’s statement the company’s operation was defined as illegal and in even stronger terms, it is a crime. All the similar application cases on that matter have very high probability to be put on the same line in the nearest future. That is why all spy software companies that offered call recording and listen to surrounding feature have closed it right after StealthGenie case. Taking into consideration that this is the first feature that is supposed to be used solely by government agency and law enforcement, most companies considered it unwise to go on with such risks. The example of StealthGenie was very demonstrative in many ways and especially for other companies in this business. The government put is quite straight that any attempts of personal privacy invasion, any ads and illegal attempts will have their consequences. This entry was posted in Mobile Tracking, News on January 22, 2015 (Last modified: 2018-06-25T12:19:41+00:00 by N Z. A mobile phone is everything for a person these days. In this respect there is no surprise that so much of personal information is stored in it. Messenger chats as well as texts contain a lot of stuff and reading those allows getting a very clear picture of a person’s life. SMS-spy is one of the features that majority of mobile tracking applications offer to their customers. Mobile spy provides access to all the messages sent and received by a given person without the latter being aware of the fact. Spy soft applications give a brilliant opportunity to have a look at the texts your kid or employer sends and gets. It is the easiest way to learn the truth. Mobile tracking applications allow text tracking but the range of options they have is much broader. Spy apps allow call and text as well as messenger chat monitoring, remotely controlling a target’s cell phone as well as GPS location tracking. The range of features is very broad. Some apps focus on Android smarthphones solely, others specialize on iPhones; some do both. There are also applications supported by BlackBerry devices but these are not so common. All in all, spy software applications allow their users to have a very close look at a target’s phone activity. The most common groups of users partners, parents and employers and all of them have their reasons. Parents like mobile spy apps for a range of reasons; however, the most favorite features are remote control and GPS tracking. In their case, a spy app allows having control over their kids without being overly protective. When it comes to monitoring app in business, they are frequently means of fraud prevention. Employers choose to install tracking apps on the corporate phones of their employees to avoid undesired off-work conversations, waste of time and etc. It is a very effective tool for companies with many workers. To cap it all, it can be said that mobile tracking applications are useful in many situations. They are easy to install in the majority of cases are worth the money spent. This entry was posted in Mobile Tracking on July 1, 2014 (Last modified: 2018-06-25T12:24:34+00:00 by N Z. It is not an easy task to find good mobile spy software. Depending on the goals you pursue, various features and options should be taken into consideration as well as the price of a program. At the present moment there are many different companies that offer such products and although they seem to have similar description, they have differences that matter. And in this respect it is much wiser to spend some time researching before actually making a purchase. It is important to keep in mind that spy software has got a number of features; it is not just some simple application for tracking texts. Surely, there are basic and more advanced variations of spy soft but it makes sense to have a more developed product that the one with just a few features. As it has been said, it is necessary to understand what you look for – a full-scale spy suit or a basic text and messages reader. Having this in mind, it is easier to compare the offers that are now available on the market. Besides, if your major goal is to spy on messages, it makes sense to look for the app that is best in this sphere; if you want to listen to conversations, look for the app that does its best in recording calls. The same refers to GPS tracking – this feature is very helpful for parents with kids and is paid more attention by the latter when choosing mobile spy soft. Although mobile tracking software is supposed to be easy to install and use, it is better to try a simpler variation in case you have never had experience with such kind of apps. At some point troubles with configuration may occur. In general, the whole purchase and installation process does not take much time but this does not mean that problems can arise. When it comes to money issues, it is very helpful to read customer feedbacks. The ones written in forums and websites other than the company one are very useful. You will have the most correct idea about the product and its effectiveness as well as its price-quality relationship. Some spy products are well-advertized and cost a lot but this can be a façade as well as truth and it is always better to check before spending money on something that won’t work. Ideally, mobile spy software should be able to track both calls and texts as well as provide access to address book as well as calendar, and reveal GPS location and what not. In reality, it is better to focus on the options that are important to you and make sure that the software of your choice has them and that is functions just the way you need it to. This entry was posted in Mobile Tracking on June 26, 2014 (Last modified: 2018-06-28T11:39:02+00:00 by N Z. Most recent rumors from top secret docs are that both the GCHQ and the NSA use the leaks from the smartphone apps such as Angry Birds to collect valuable personal information. As of the information reveled in the documents the range of the information that can be obtained from the smartphones and iPhones is very varied. It is possible to learn the model of the phone, the size of its screen as well as the location and even the gender of the user. It is also suggested that more sensitive information can be obtained via some applications. It is only natural that smartphone users are absolutely unaware of being tracked in such a peculiar way and that their private information is shared on the net and that in case spy agencies need to get access to it, they won’t have any problem whatsoever. Applications collect a great amount of personal data and the agencies use this information in their own purposes. Having such options they do not even need to hack some individual phones as they can use cable taps and the data from mobile networks. Any information that a user chose to indicate will be available to a spying agency – are and gender, marital status and present location, even the amount of income and level of education, to name a few. Spy agencies also use Google apps and some other mapping applications to get tracking info. Among the mutual goals of the NSA and GCHQ was stated the effort to build a database that will be able to help in tracking any cell in the world. They also make a decent effort to intercept the information from Google Maps queries that people make from their smartphones. Surely, the examples shown in the recently revealed top secret documents show a large bulk of information about the interception of app data. The aforementioned application Angry Birds is hugely popular and one can imagine the amount of info that can be acquired from it. Surely, not every platform can give that much information; however, such things as the unique ID of the handset can be obtained and this only can be sufficient. 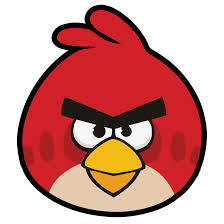 Angry Birds are created by Rovio and their representatives claim that they have been unaware of the NSA or GCHQ tracking intentions and they also refused to admit any connection or involvement in the case. This entry was posted in Mobile Tracking on January 28, 2014 (Last modified: 2018-06-25T12:36:02+00:00 by N Z. More and more smartphones appear on the market and with the growing availability of them, more owners appear as well. But there is also a great number of people who still cannot afford such purchases and this is the reason why so many smartphones get stolen. And in them there is personal data. In this respect, it makes sense to take better security measures. People do not think much about the information they keep in their smartphones before they lose them or someone steals it from them. It appears that many important pictures were there and they were the only copy. Besides, people tend to be more tied to their devices and they do more various confidential operations via mobile applications. At the same time they pay little attention to security of these transactions. One of the most popular applications is online mobile banking and careless usage of it can lead to pretty sad consequences. All the financial data can be easily accessed by some outsider and you will get into a big trouble. One of the strangest and illogical things is that while people install anti-virus software on their home computers and laptops, they neglect these measures when it comes to their smartphones. And this is a mistake; the same as to keep its content open to the public. Well, to be honest, if a person who stole your smartphone is a professional, he or she will get the access to every bit of your information. Here the social network accounts and SMS content might be important but not as essential as your financial information and your banking account. Isn’t it the reason to be more careful with your smartphone? Extra security is always a plus and when it comes to a mobile monitoring software application – there is really something to think of. Mobile spy has a number of features and it can be used differently; however, when installed to own smartphone, it will add to its protection and won’t allow any unauthorized access. If you lose you smartphone or have it stolen, it will be easy to trace the location of the device. However, defining the location is one thing that is good enough; but you will also be able to lock the accounts you consider important. With mobile spy application you can have remote control over you phone and make sure that if it happens so and your smartphone is lost or stolen, no important information could be found there. Surely, not all applications are perfect and flawless but it is better to have them as a part of your smartphone security than not. This entry was posted in Mobile Tracking, News, Surveillance on April 25, 2013 (Last modified: 2018-03-30T12:29:30+00:00 by N Z. Presidential Alerts: Can You Opt Out? Who Even Pays Attention to App Permissions? Should You Monitor Your Child’s Online Activity? Has My Phone Been Hacked? Or Are These Just Glitches?